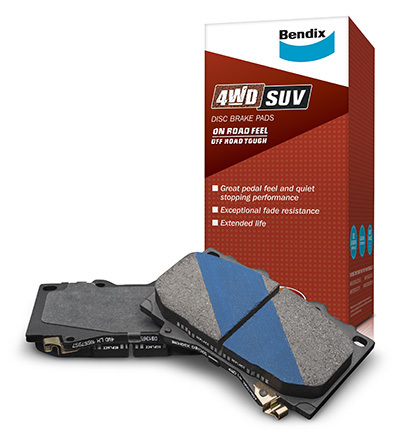 Bendix 4WD disc brake pads are designed for 4WDs and SUVs that drive on city, country and outback roads for general commuting and recreational purposes… on road feel and off road tough. Bendix 4WD have been delivering superior and well-proven performance over many years. Bendix 4WD pads are purpose designed and manufactured using materials specific to applications, gasketed to make them quieter and they operate effectively at temperatures around 380ºC compared to the 260-280ºC range of lower priced general purpose pads.